Weight: 1 LB 5.5 OZ. 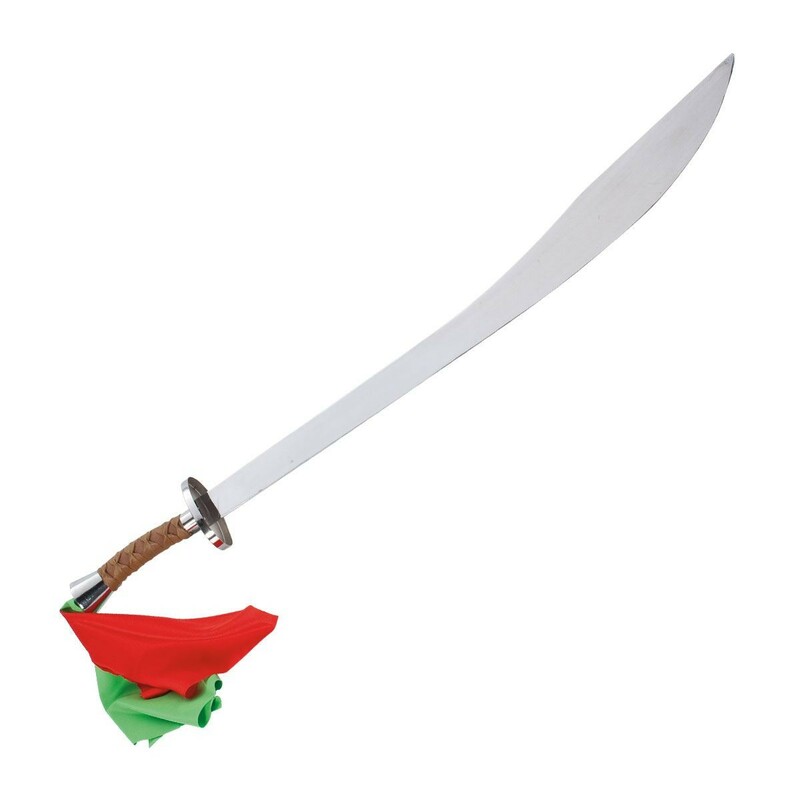 This Chinese, stainless steel blade sword is a perfect replica for display or tournament. the red and green cloths accentuate the tan leather handle. Blade Length: 30"